I have kept reptiles for 15 years now and it all began with my first rescue, a corn snake. I have rescued and rehabilitated a number of other reptiles in that time but never an iguana, the one reptile I had dreamed of owning myself … until one day I called into a reptile shop (not my regular) just to have a look around and spotted a little red iguana hatchling only a few weeks old. I felt so sorry for him and he was just being fed defrosted cauliflower, broccoli and carrot, which really got to me as these are the most important stages of his life he needs nutrients to grow (like a baby needs milk). I asked the shop owner if he was for sale to which he promptly replied “No! 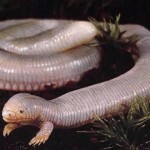 He is going to be my shop pet.” So not to sound as though I knew more than the “expert” I advised he fed him something with a bit more nutritional value. He laughed at me and said he’ll be fine! I continued for about a month to call in and check on the little newt but no progress had been made and he was still looking sorry for himself. I felt awful, until one day I discovered the shop was having to close down with no place for the little newt to go. The owner agreed to sell him to me, and 6 years later my handsome man is still with me. I named him “Drako” which in Latin means, “dragon.” I felt this would be more apt when he reached adult stage, as he is now 4 feet from nose to tail and “little newt” wouldn’t quite suit him. Iguanas aren’t for everyone, as many people don’t realise the size they do grow to and the space they require. Drako, for example, has needed 3 custom built vivariums in the past 6 years, something many aren’t financially ready for, as these can easily cost around £800-1000 ($1,400-$1,800 US). He has now finally settled into his own room in my new house … although he thinks he is King of the whole house! I am very lucky that Drako has such a good temperament and that I can let him come out of his viv (vivarium) to free-roam (when I am in, of course) as many ig’s when they reach maturity can turn very aggressive, or when in breeding season, be very grumpy and chase after their owners to attack or defend “their territory!” I have seen many people over the years who have had some rather nasty bites. That’s not to say I will never encounter one from Drako at some point in his lifetime as, like us, iguanas have their off days too. Drako Davis isn’t a morning iguana and can display warning signs if I get too close to him before he’s warmed up, but I know he is just being moody so I tell him to stop being a “Mr Grumpy” and I rub between his eyes in a circular motion and he lays back down. Once he has warmed up though, he knows it’s breakfast time (iguanas are very routine oriented) and so gets his fresh spring greens, green beans, mange tout, butternut squash, red pepper etc. His veg varies each day to ensure he doesn’t get bored, but his favourite treats are blueberries and brown bread. Drako Davis loves bath time! If he comes out to free roam, he will generally have a little route in his head where he will come downstairs and check if the back door’s open to go outside and bask in the sun. If the door isn’t open he’ll turn around and lay on the living room window and watch out the front, then he’ll sit on the sofa and watch tv. Then, when he’s bored with that, he’ll take himself upstairs and climb into an empty bath, waiting for me to fill it up so he can relax in there before bed. I really did get a good egg with Drako and I couldn’t imagine life without him. To anyone thinking about getting an Iguana I would advise you do thorough research before making a 15-20 year commitment. Wow, right? Did you see that beauty? Yes, Anneka is a beauty, for sure, but I was kind of referring to Drako Davis. 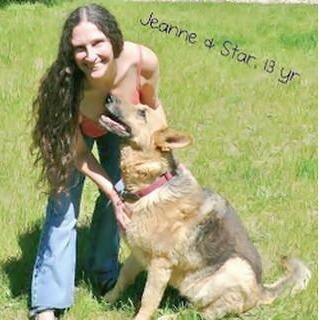 Share your thoughts in the comments below and give Anneka a HUGE round of applause for all that she does for the love of Drako and others that she has rescued throughout the years. THANK YOU, Anneka, on behalf of dragons everywhere! 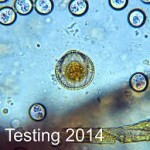 What Kinds of Intestinal Parasites Can My Reptile Get? 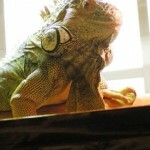 I had an iguana, Iggy for several years. He-she, lived in a heated aquarium and had the run of the house. He always liked to hang out with us though. So what happened to Iggy? I wish I had one. I’ve got a Bearded Dragon. Maybe someday I’ll get one. Who knows. Anyway, thanks so much for visiting my blog today. Take care! Thank goodness the business had to close and the Drako was able to find a home with you. I honestly don’t know how most pet stores get away with the things they do, it’s criminal some of the things I’ve seen (right down to pet stores sourcing from puppy mills!). I used to foster cats and small “exotic” animals, and it was definitely hard work, but so rewarding to know you are making a difference. Good for you! Lalia @ Found Frolicking recently posted…Green Scene Mom Summer Awards Giveaway! I prefer my pets to be more cuddly…though that last shot of Drako on her shoulder was probably the closest I’ve seen from an iguana…. Ever since I was young I always wanted something like this. I used to catch lizards and horned-toads in Utah when I was in 1st grade. Don’t know that I’d have the patience to take care of one now though! 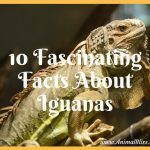 Wow, I didn’t know iguanas grew so big! Such good information on the space and expense they require; many people don’t think about these types of long-term considerations when they purchase a pet. It’s very evident that you really love Drako, and he is lucky to have you! Amber @ Apples to Applique recently posted…Yeehaw! A Western Party! 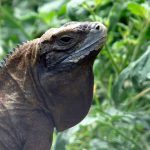 I didn’t realize Iguanas were often aggressive as adults. 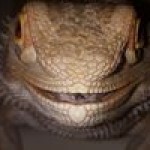 I’ve have various reptiles myself, but never an iguana. Great job! I love the name & what a cute story! Awesome Anneka, I love rescue stories and Drako is so handsome! This is my first visit on your site and got impressed. 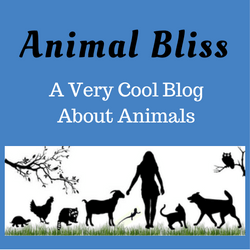 I read this article and enjoyed a lot to see the ultimate pics that you have tagged in this blog. Drako seems to be very well loved. It is awesome that you never gave up on rescuing him. Some people really do not need to own pets and in this case your persistence gave Drako a great home instead of what he was dealing with at the pet store. Inspiring story! Sweetie Draco.. He’s cute! …and lucky! michael recently posted…Historic Montreal: Fisher & Sons.